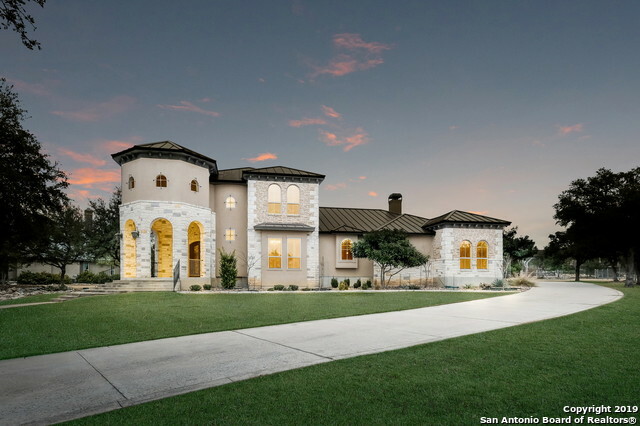 All STONE CREEK homes currently listed for sale in Boerne as of 04/20/2019 are shown below. You can change the search criteria at any time by pressing the 'Change Search' button below. "Do not miss out on this AMAZING ONE STORY 4 bedroom home. Nuzzled in the heart of Stone Creek on a GREEN BELT! Incredible flowing lay out . You must come be prepared to be pleasantly surprised to see and feel the charm of this spacious one story open lay out floor plan." "Spacious custom home in Stone Creek neighborhood offers two living areas, two eating areas, secondary bedroom downstairs great for guests, game room upstairs and tons of storage!!! Great open floor plan with oversized dining room makes it perfect for entertaining! 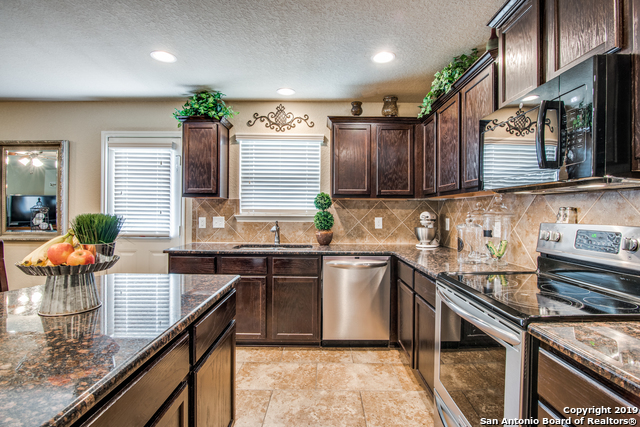 Granite countertops throughout & hardwood floors/ceramic tile in main living areas. Each bedroom is very spacious and offers a walk-in closet! Short walk to Forester Elementary School!!!" "Your lovely home awaits! Come see this, barely lived in, conveniently located home right off of Potranco and Loop 1604. 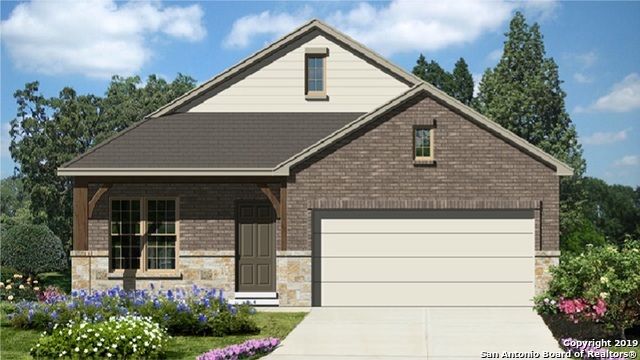 Beautiful Brick and stone front exterior, Tile flooring, office, mudroom, open kitchen and living down, plus large loft upstairs.This 4 bedroom, 2.5 bath home will provide plenty of space for a large or growing family. The open kitchen and living area will allow for memorable gatherings. Also, the much needed covered patio will allow for outside entertainment. Welcome Home!" "New Armadillo Home in Stonecreek! Bowie Plan 1970sqft. Home Features - Open Layout, 42 Maple Kitchen Cabinets w/ Crown Molding, Gas Cooking, Stainless Steel Level 2 Appliances, Granite Kitchen Countertops, Tile in all Wet Areas, Dual Vanity Sinks with 8' Euro Shower at Master Bath, 4-1/2 Base Boards, Pre-Plumb for water softener, 9ft ceilings, Full Yard Sprinkler System, Covered Patio & a Garage Door Opener!" 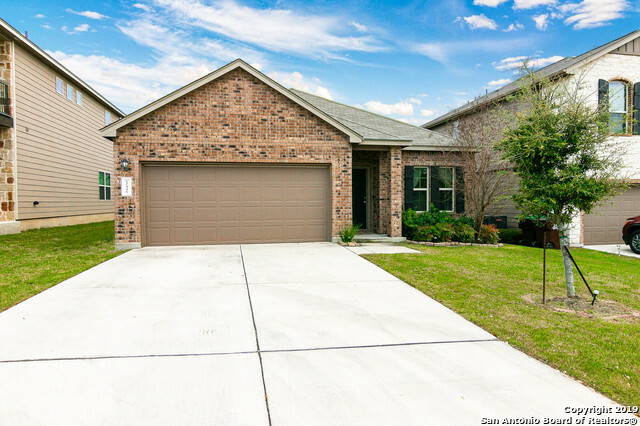 "One story home located in Stone Creek subdivision w/ open fl plan, 3 bedrooms/2baths. Kitchen has beautiful back splash, recessed lighting, Stainless steel appliances, Covered Patio. 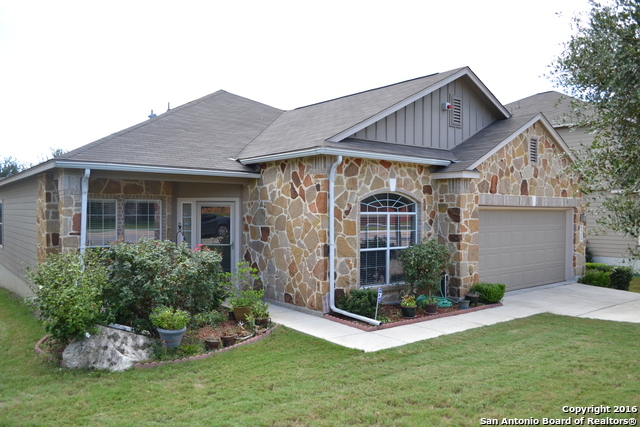 Easy access to 1604/Lackland AFB, SeaWorld, restaurants & shopping!" "BEAUTIFUL HOME! Just minutes from school and YMCA! Enter into Welcoming Living & Formal Dining with Fireplace! Great Kitchen including New SS appliances, Breakfast Bar & Dining Area opening to your Large Patio & Backyard surrounded by New Privacy Fence. Upstairs you'll find your Master Retreat with plenty of room for Additional Sitting Area and then some! Two Large Walk-In Closets & On-suite! Two additional bedrooms with hall bath. NATURAL LIGHT GALORE! NEW CARPET & DESIGNER PAINT THROUGHOUT! WE"